The spiritual climate in our world is changing. Some churches seem increasingly powerless against the rise of cultural secularism and moral relativism. How to develop a sustainable philosophy of leadership. 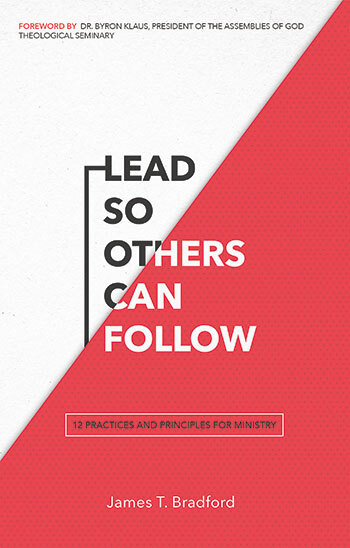 Practical tips on creating a Christ-honoring, people-centered ministry. Sections on spirituality, strategies, and stamina and how to apply principles in your life and ministry. Let this book help you face the challenge to keep spirituality and biblical principles hardwired into your leadership. Also available in Spanish, El líder que otros seguirán. Dr. James T. Bradford is author of Preaching and Second Chronicles Seven:Fourteen. He holds a PhD in aerospace engineering from the University of Minnesota. While in college, he led a Bible study that eventually grew into a university church. Upon graduation in 1979, Jim entered full-time ministry with that campus outreach. Since then, he has served growing faith- based communities in British Columbia, California, and Missouri. Currently he travels the world speaking on leadership and church growth in his role as general secretary of the Assemblies of God, which was recently recognized as the fourth-largest Christian movement in the world. He and his wife, Sandi, have two daughters and reside in Springfield, Missouri.